HomeHeadphone ComparisonsSennheiser HD1 vs. Momentum | SAME THING? Before we get into this lightning fast Sennheiser HD1 vs. Momentum comparison, grab a snack, sit back and relax because.. In actuality, the HD1 is the same thing as the Momentum 2.0 Wireless, as well as the 2.0 Wired version. 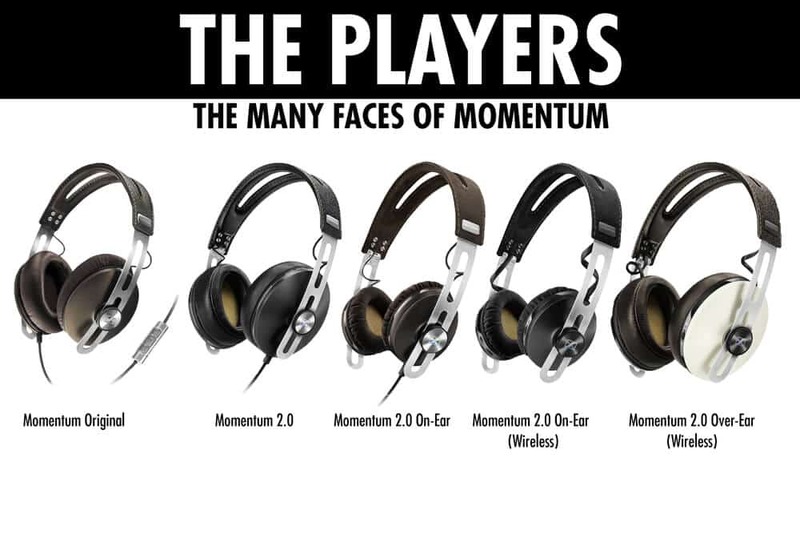 The reason for the new name is because Sennheiser does not own the rights to the Momentum name. They had to re-brand it as the HD1. There are a few versions of the Momentum that you should know about. I would avoid the original Momentum’s, as the fit was a bit off and the sound overall was a little less defined and focused. The Momentum 2.0 improved upon all that: Comfort is a lot better, the sound is better (particularly the mid-range), and the headphones can be folded. There’s really no reason to opt for the original Momentum’s. Interested in reading some reviews on the 2.0’s? Well that’s about it for today my friend! I hope this Sennheiser HD1 vs. Momentum blurb cleared things up. What do you think about the 2.0’s? Let me know! Wow, I own The Momentum 2.0 and the original and I like the original better because it has a clearer, more natural midrange, and a more present treble. and a more spacious sound. The treble is a bit glaring and bright, but fairly good. The M2/H1 has a similar sound signature to the HD 650, it has great bass and timbre, but the midrange is hard and forward, the vocals are distant and veiled, and the treble is dark and recessed also. They are more comfortable and portable than the original Momentum. But without a doubt, in spite of the fact That I always have to push both cups against my ears firmly before listening, the original Momentum is a much more audiophile listening experience for me. Would you say the mid-range on the M2 is similar to an HD600 in that it can sometimes be too much? Marc, I agree. As a fan of Grados/Alessandros, I also really like the brighter highs of the original Momentum. It’s my preferred headphone to use when in public. I picked them up in excellent condition for $60, so the originals can be acquired for a good price. The HD1 probably has a sound that more people prefer though. Wow you got a pair of Momentum’s for $60? That’s basically a steal. I kind of think they are a tad overpriced to be honest.